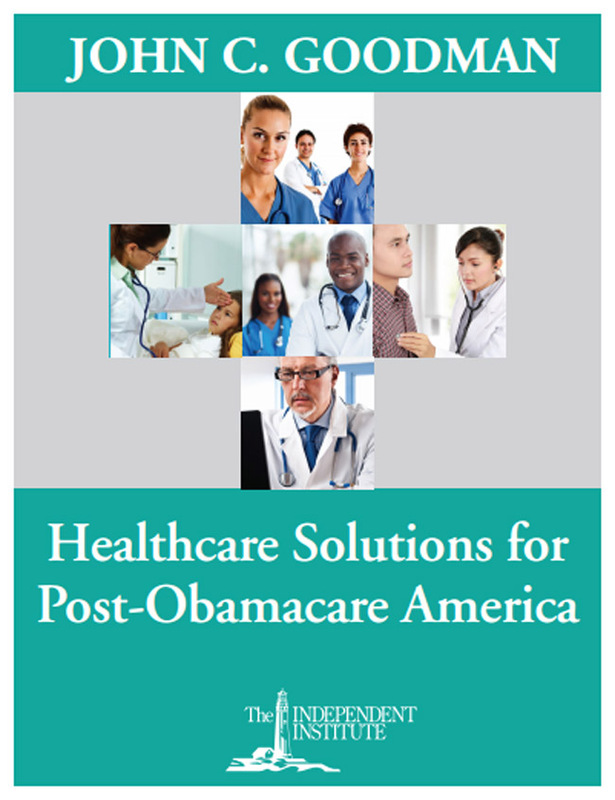 In 2017, the Goodman Institute took the lead in providing the intellectual basis for congressional efforts to reform the health care system and the tax system. 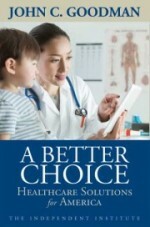 While health care reform is temporarily stalled, tax reform was a significant achievement. This achievement could be undone, however, if we do not successfully defend it in this election year. The economists who helped shape the Republican approach to tax reform are predicting good things from it. The original Ryan/Brady tax reform was the brainchild of Goodman Institute economists Alan Auerbach (Berkeley) and Laurence Kotlikoff (Boston University). The bill that finally passed is probably half as good in terms of economic impact. But it was still worth doing. “Unless other countries lower their tax rates to match our lower rates, we expect about $9.5 trillion of new capital to flow into the United States,” said Kotlikoff. “Workers, not shareholders, will be the big winners from corporate tax reform,” Kotlikoff said. 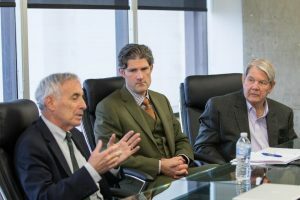 Laurence J. Kotlikoff (left) discusses the Goodman Institute’s tax reform strategy with R. Shane Jackson and John Ridings Lee at the November board meeting. Using a state-of-the-art model of international capital flows, Kotlikoff and his colleagues are predicting the new tax reform legislation will give a jolt in the arm to the economy. The model predicts that in response to lower U.S. corporate tax rates, capital will flow to the U.S. from Europe, Russia, China, Latin America, and even Africa. An early version of the model, created by Kotlikoff and Auerbach, was the first large-scale simulation model of economic growth, demographic change, and fiscal policy. Developed in the early 1980s, it has become a standard tool for policy analysis throughout the world. The Joint Committee on Taxation, the Congressional Budget Office, and the Tax Policy Center have all used variants of the early model to study tax reform, including the economic outcomes of the new tax law. 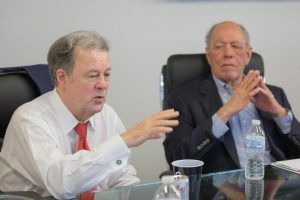 John Goodman and William P. Hallman, Jr. at the Goodman Institute board meeting in November. Kotlikoff says the new model took three years to develop. It has 3 ½ million equations and takes several computers operating up to 6 hours to do a single run. “It’s the most sophisticated tool economists have to assess the response of our economy to tax reform, particularly tax reforms that enhance the incentive to invest in the U.S.,” he said. Goodman Institute Board Chairman Leigh Curry at the November meeting. Until recently, no one really knew who bears the burden of the corporate income tax. The views of economists were merely guesses. Then, in 2014, Kotlikoff and his colleagues published a seminal study of international capital flows. The study, posted at the National Bureau of Economic Research (NBER) Working Paper website, concluded that the burden of the corporate income tax is born by labor – in this country and everywhere else around the world. In other words, a tax on corporate profits is not a tax on shareholders (whose return is determined in the international capital market). It’s a tax on workers. 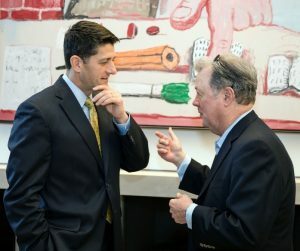 John Goodman and House Speaker Paul Ryan discuss strategy for tax reform in November. Conventional analysis asked how a tax change affects everyone at a similar income level in the current year. But that means that people beginning their work life, people at the peak of their careers and retirees are all treated as though they were the same. If Warren Buffett has portfolio losses during the year, he is statistically treated as though he is poor. There is only one correct way to measure the effect of policy changes on inequality. You must calculate the change in lifetime consumption for same–age cohorts, taking into account all taxes and all entitlement programs. The only two economists in the entire country who are able to do this kind of calculation are Auerbach and Kotlikoff. A lay description is at the Goodman Institute website. Auerbach and Kotlikoff analyzed the House proposal last spring and found virtually no change in progressivity from the proposal. Subsequent variations in the proposal have not changed that judgement. Did Sen. Ron Johnson Have a Better Idea? Sen. Johnson’s plan would abolish the current corporate income tax and make owners of large corporations (C corps) pay taxes on their companies’ profits at their personal tax rates. This is the same pass-through tax treatment as owners of small businesses face. Writing at Forbes, Kotlikoff says this plan would give a bigger boost to the economy and would be fairer than the bill Congress actually passed. Ben Stein is the son of a famous economist. He studied taxes as an economics major and in law school. He has never voted for a Democrat. Yet he told Fox News viewers last month that he didn’t understand the Republican tax bill – at all. 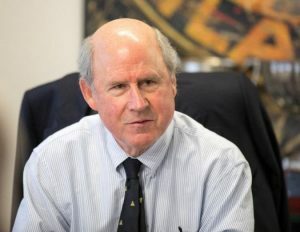 Robert Crandall is former CEO of American Airlines. His name is almost synonymous with “corporate America.” Yet in an editorial last month, he said tax reform is a giveaway to the rich that won’t help workers. 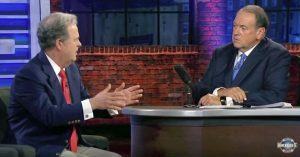 Goodman tells Mike Huckabee the ideal tax reform would fit on a postcard. 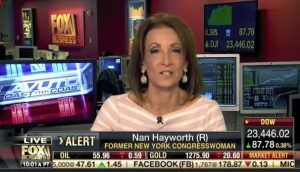 As these examples show, supporters of tax reform have done a terrible job of communicating with people who should be their friends and allies. Millions of dollars were spent on TV ads and door–to–door canvasing – to no avail, if the opinion polls are to be believed. Almost nothing was spent on the “think tank task” of communicating with serious people. You know you are in the silly season when the charges against sensible tax reform become more and more outrageous. 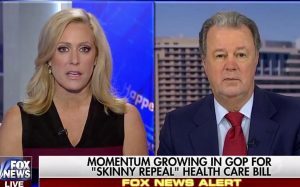 The silliest and most outrageous is based on this causal reasoning: The Republican tax measure repeals the Obamacare mandate, requiring people to purchase health insurance; without the mandate, fewer people will insure; and without insurance, more people will die. Lawrence Summers (Secretary of Treasury under Bill Clinton) and Jonathan Gruber (best known for designing Obamacare) make this claim in a Washington Post editorial. If they are right, there should have been 24,000 fewer deaths per year under Obamacare. Oops. Linda Gorman shows the mortality rate went up, not down in recent years. 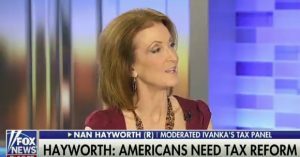 Nan Hayworth tells Fox and Friends tax reform is important to women. The Federal Reserve System’s balance sheet contains 20% of all publicly held federal debt and 34% of the value of all outstanding government-guaranteed mortgage-backed securities. Tom Saving and Phil Gramm say that as the economy returns to normal growth, getting rid of those assets risks runaway inflation or a crippled recovery, or both.